Due to the nature of my work, and my husbands, we communicate with our clients via email and social media. Since our clients are scattered around the country and working across several time zones, we don’t always have the luxury of an 8-5 job. That means that we’re often answering emails and trying to communicate when we’re also enjoying family time. Jolly Time Popcorn is the American Popcorn Family. The Smith family started the American Pop Corn Company in 1914 and a century later they are still family owned and operated. The employees, growers, and customers are all part of the JOLLY TIME Pop Corn extended family. JOLLY TIME Pop Corn strives, everyday, to make the absolute best pop corn, to give employees the absolute best work environment and have the absolute best time doing so. They take pride in every aspect of what they do and want you to taste it in every delicious kernel of JOLLY TIME Pop Corn. 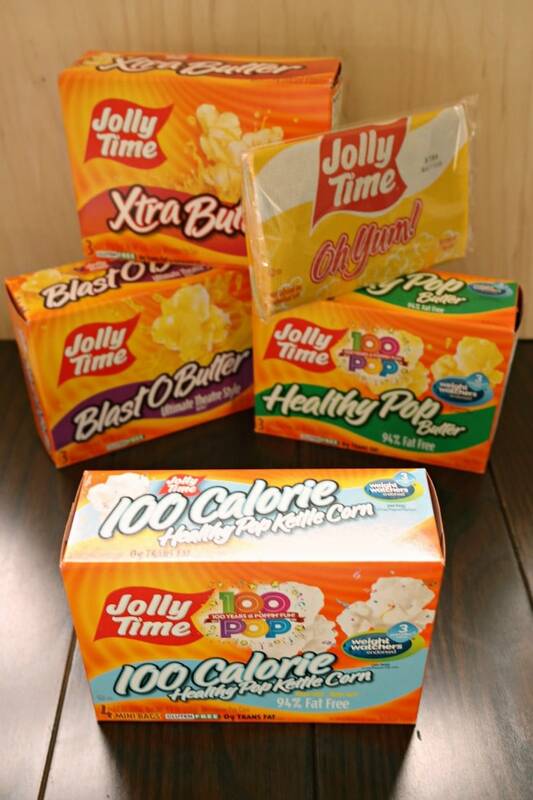 There are so many varieties of JOLLY TIME Pop Corn to choose from too! One of our favorite things to do is family game night. Whether we’re playing cards, a board game, or Foosball we love to spend the evening together playing games and snacking. 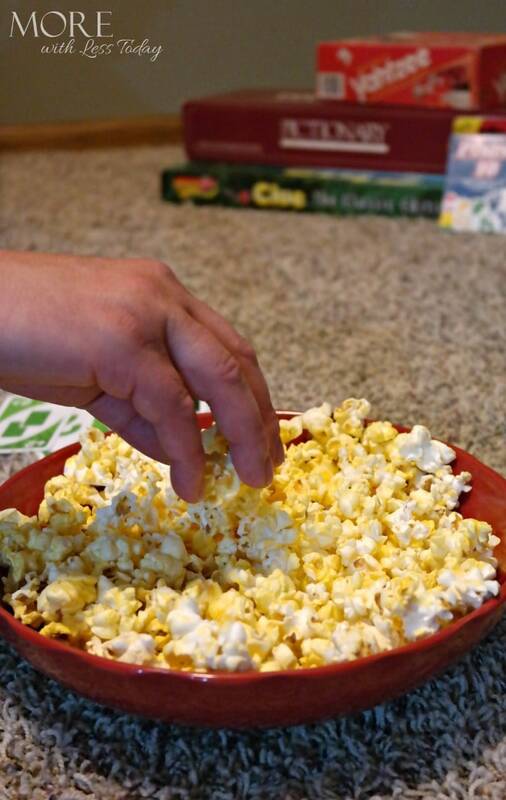 JOLLY TIME Pop Corn is one of our favorite snacks to enjoy during game night. 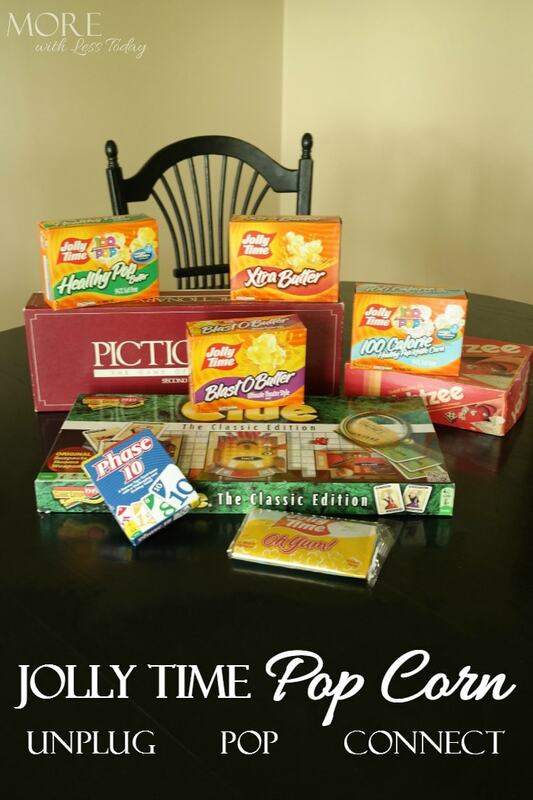 When JOLLY TIME Pop Corn invited us to Unplug Pop Connect, we knew that we’d be turning off our phones and tablets, turning off the television, and breaking out the board games (many of them from my childhood). 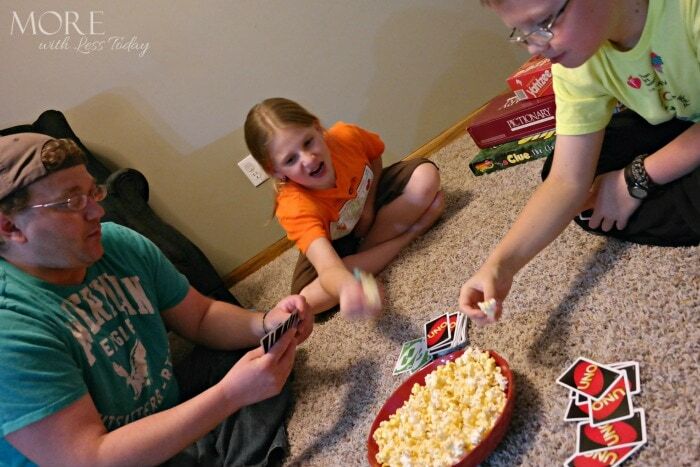 We unplugged from all of our technology, grabbed our favorite card game, and popped a bag of JOLLY TIME Pop Corn Blast O Butter pop corn. We had so much fun laughing, playing games, snacking on JOLLY TIME Pop Corn, and catching up on our day. We talked and caught up and everyone got silly. While this isn’t really something new for our family, making sure we unplugged while we spent this time together was. Sometimes we all need a reminder that things can wait. In such a technology driven world it’s sometimes easy to not be as present as we should be and to let distractions pull us away at all times. We need to do a better job of setting boundaries, carving out time that we won’t allow ourselves to be distracted and pulled away. Will you take the pledge? Visit JOLLY TIME Pop Corn and pledge to Unplug, Pop, and Connect! Share your family pledge and and receive a high value coupon and the chance to win a prize package! It’s time to MAKE time! Got a minute—or three? Turn them into a POP Moment: a few minutes to put down your phone, pop up a snack, and reconnect with whoever’s around.